who have never been married or who were previously married and are now divorced or widowed. To grow closer to God while forming meaningful relationships with other singles within the family of St. John’s Orange. Being single and being alone are two very different things. God does not want us to feel alone. Loneliness has no place at church. 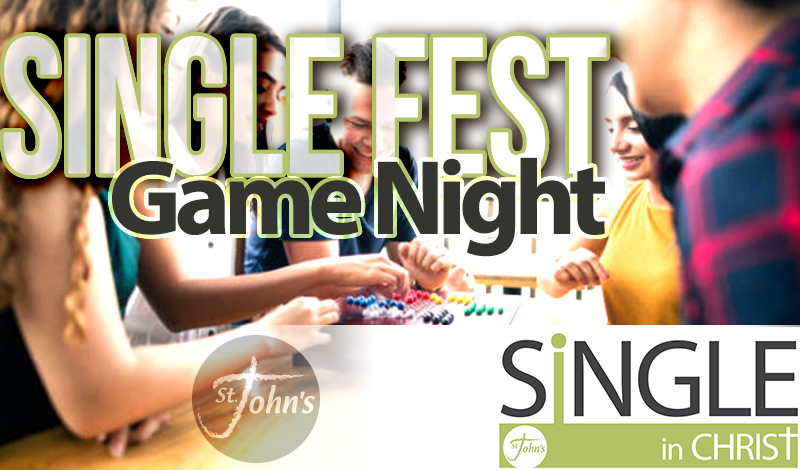 Single in Christ is a safe place for singles at St. John’s to feel welcomed, loved, and part of the family. We want to encourage all singles to feel comfortable as single children of God. Single life can be difficult until you figure out who God wants you to be. Singleness is not something to be ashamed of... Jesus was single his whole life.